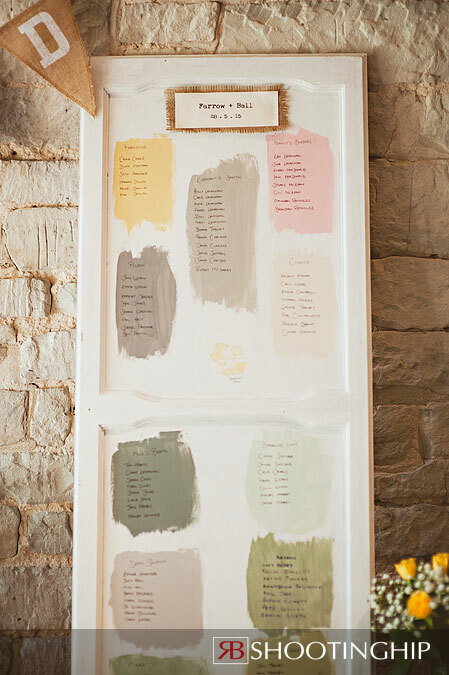 This is the first in a new series of fantastic wedding ideas. Ideas that unique, quirky, different or just expertly executed. Being in the depths of wedding planning myself I took some time to remember some of the brilliant things I’ve seen over the past few years. Made sense to share them with you. The dreaded table plan! Nothing seems more innocent whilst possessing the most opportunity for all out family warfare than the table plan. Since this table plan will inevitably be a monumental decision making process its only fair that the presentation of the aforementioned plan is second to none. 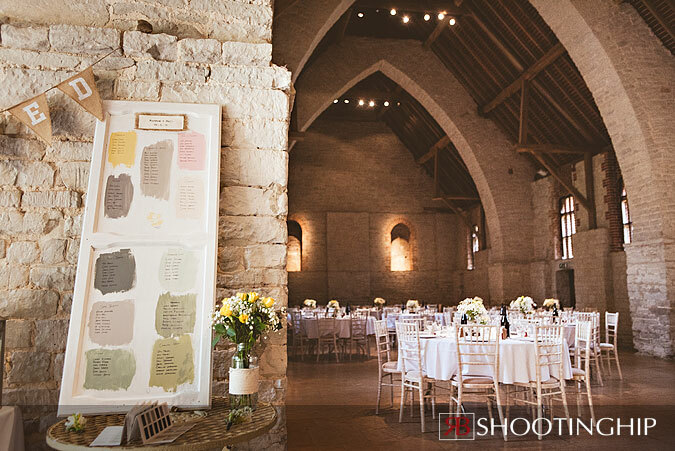 For a May wedding at Tithe Barn, Holly and Chris, who had recently bought their first home and had been spending just about every waking moment working on it (when they weren’t planning a wedding) came up with this fantastic idea. 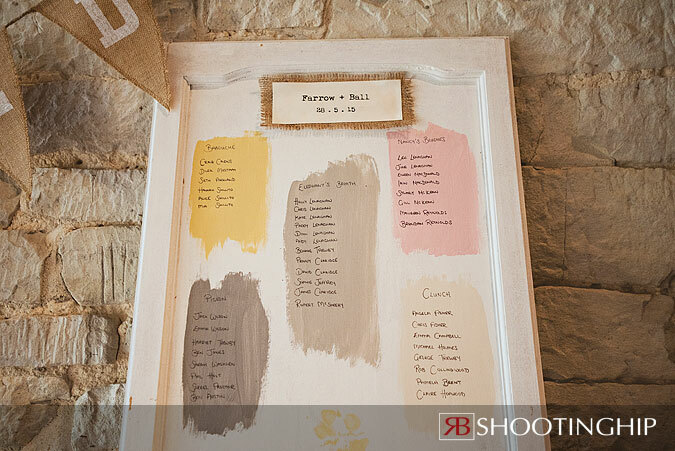 A wedding table plan themed around the colours of the Farrow and Ball paint colour wheel. Fantastic! 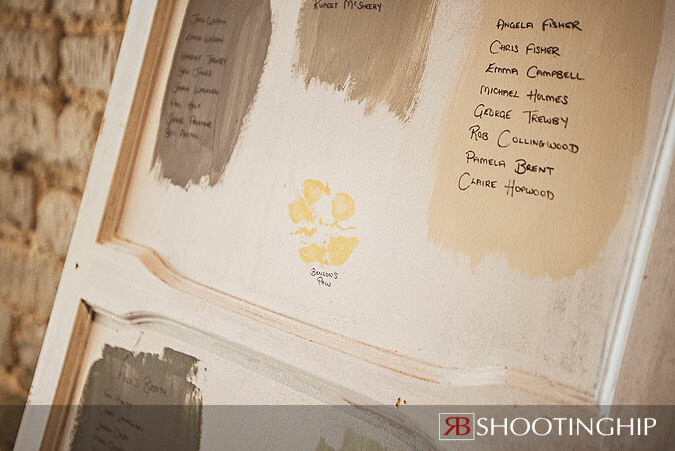 Look out for more wedding ideas soon!